it’s much easier to recognize whether lifters around you use steroids — without even questioning. However, there are also factors that may help you to spot natural bodybuilders. These methods aren’t 100% absolute because every person is different, but if you see many of the things below, it’s a huge chance that you’re dealing with a natural bodybuilder. 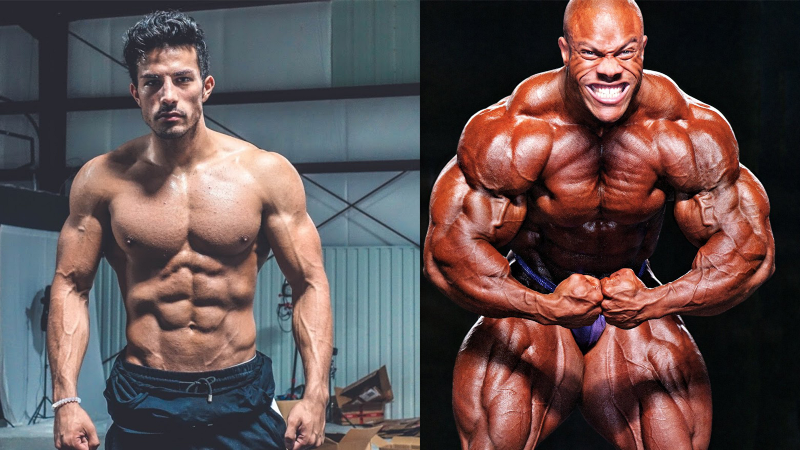 If you’ve ever seen Mr. Olympia bodybuilders, perhaps you know that they weigh a lot less than they seem. Of course, they weigh a lot more than a regular person, but this weight still goes around 270 pounds while competing and even more. This weight illusion is created due to their massive-looking 3-D muscles that make them seem as if they weigh a lot more than they really do. Natural bodybuilders sometimes look depleted. Most often, it happens when a natural bodybuilder is dieting and loses water weight so the muscles become depleted and flat. A good way to recognize if a bodybuilder is natural is by looking at their shoulders and traps. If a bodybuilder uses steroids, their shoulders and traps will most likely still look bigger even while dieting. However, natural bodybuilders are rarely seen to keep such massive shoulders and traps as steroid users do. As steroid users often grow abnormally big muscles, after cutting body fat they have much deeper cuts than natural bodybuilders. This allows steroid users to look bigger even if they weigh the same as natural bodybuilders. But don’t believe that by being natural you can’t achieve deep cuts because steroids aren’t everything; a proper workout and diet also play an important role. When a steroid user decreases his body fat percentage, it seems as if that person is made from plastic and is enhanced by Photoshop. Yet, even if natural bodybuilders decrease their body fat percentage, they still look as if they were from this world rather than synthetic. 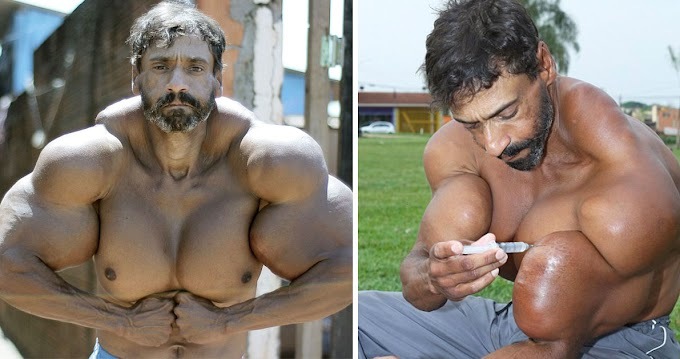 After growing lots of muscle mass in a short time, steroid-users often look older not only because they become big but sometimes due to other reasons like early baldness, greasy skin, disrupted sleep patterns, and tiredness without any particular reason. Because the head isn’t the area of the body that has big muscles, after growing lots of muscle mass a person may look as if the head is too tiny compared to the body. Of course, after using steroids the head may also grow a little bit bigger like Rich Piana’s did, but it may still look too small.